Paul Myers' comprehensive book of Todd in the studio A Wizard, A True Star: Todd Rundgren in the Studio is available for pre-order at Amazon.com. It's due out October 1, 2010. Paul is blogging parts of the book during the month of September. See his blog The Pulmyears Music Blog. 12/10/2009 - Asheville, NC - After a seven year gap, much to the anticipation of Todd Rundgren fans worldwide, A Dream Goes On Forever - The Continuing Story of Todd Rundgren vol. 2 is to be published by Golden Treasures Publishing on December 15. 2009. There is no more consumate musician than Todd Rundgren. There is no more complete collected account of his sonic accomplishments than A Dream Goes on Forever. This second volume of the biographic series tracks his history from the triumphant mid-'70s atop the golden pyramid to the challenging mid-'80s when he faced the demise of Utopia. Follow the album-by-album coverage from Todd's landmark 1977 production of Meat Loaf's Bat Out of Hell through to the persistence of vision which allowed him to continue creating music after the end of his video studio, record label and band. From Utopia to Oblivion and beyond. No account of Todd Rundgren's second decade of creativity would be complete without extensive coverage of his pioneering efforts in music video. From his first forays into live TV to the founding of his state-of-the-art $2 million studio, Todd poured as much energy, money and talent into the advancement of music video as he did for his audio adventures. Relish the highs such as when "Time Heals" becomes the second video ever played on MTV, or Utopia presides over the channel's first birthday celebration with Nina Blackwood. Be there as Martha Quinn and Todd announce results of a Basement Tapes session, and when the band produces award-winning videography for "Feets Don't Fail Me Now". Follow along on the rollercoaster ride as Utopia's TV show plans get foiled by lost RCA satellites, and the studio ultimately and tragically goes up in flames. Learn how, despite it all, Todd continues to forge ahead producing his own landmark solo albums along with pop gems like Skylarking by XTC and Forever Now by the Psychedelic Furs. It's all here, disc by disc, frame by frame, covering all the developments in unparalled detail. It's the continuing story of the one - the only - Todd Rundgren marching boldly through the Utopia years. A Dream Goes On Forever vol. 2, featuring a foreword by Utopia member Kasim Sulton, is available through Amazon as well as directly through Golden Treasures Publishing (who, along with publishing the first volume of the Todd Rundgren biographic series, has released Beyond & Before - The Early Years of YES by Peter Banks). Dave Stainton has taken part in the National Novel Writing Month competition during November 2004 which basically set the challenge of writing a 50,000 word novel in just 30 days. He completed his novel on 29th November, and it's entitled "The Lucky Guy", which as you will guess was suggested by Todd's song of the nearly same name. The main character is also a big Toddhead and he managed to cram as many references in as he could. The novel has been blogged and available at www.the-lucky-guy.blogspot.com. Todd is featured in a section of "Ragged Glories: City Lights, Country Funk, American Music" by Barney Hoskins. Published in the UK in August, 2003, it's been reviewed by The Observer. An interview with Todd Rundgren is featured in the new book "Behind The Muse: Pop and Rock's Greatest Songwriters Talk About Their Work and Inspiration" by Bill DeMain. In addition to the interview with Todd, conducted in 1997, the book features interviews with over 40 successful and respected songwriters (including Smokey Robinson, Billy Joel, Brian Wilson, David Byrne, Andy Partridge, Suzanne Vega, and others). More details on the book, and ordering information, can be found at the website of the publisher, Tiny Ripple Books (www.tinyripple.com). 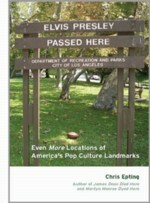 The book can also be ordered through the amazon.com and Barnes & Noble (bn.com) websites. Update 2/9/2003 - Fans who wish to submit a review can send it it . Reviews collected so far are found at A Dream Goes On Forever. On a side note, I just finished the book yesterday, and would not hesitate to recommend it to any TR fan. Update 1/21/2003 - The book "A Dream Goes On Forever - The Continuing Story Of Todd Rundgren vol. 1" is now available and shipping. The book is approximately 500 pages with 16 page color section, and tons of photos throughout. Volume 1 chronicles TR's life from birth to 1976 (right after John Siegler quits Utopia). Please tell the world Utopia Is Here!!!! Update 11/3/2002 - The book now looks on target for a December release. The book changed typesetters about 2 months ago and Calvin Shenkle, the guy who did most of Zappa's cool covers in the 70s (Grand Wazoo, Overnite Sensation - many others..) is doing the whole thing - looks like he's almost done - this should put volume 2 close behind. Update - Due to printer delays, the book is now scheduled for a September release. Now available for pre-order! $29.95 soft cover, $39.95 hard cover. 500 pages with a 16 page color middle photo section. Billy James has written a book on TR, which is scheduled for release though Golden Treasures Publishing in September 2002. The forward for volume 1 was written by Roger Powell. This is shaping up to be a superb document which will outdistance most all other bios in depth due to the number of people involved and the volume of material used. A book of this depth will probably only come along once in our lifetime. Kristofer Engelhardt has recently published "Beatles Undercover" which includes a chapter on Todd. It's available at a discount from Amazon.com. Todd (with David Levine) has a book out from Ten-Speed Press in Berkeley CA. It's called Music for the Eye and lists at $19.95. It's a collection of images from FlowFazer and GrokGazer. It's on the bookstore shelves now. Although it's currently out of print, Amazon.com offers a special notification service when it's once again available. 'Often called a visionary, Todd Rundgren has continually been on the cutting edge of multimedia technology through the integration of his music and art in video. 'Music For The Eye' is a scintillating collection of electronically produced imagery, combining current 'cyber-punk' form with echoes of psychedelia. Apple has sponsored a book/CD series with Random House and New Media Magazine and the newest title features an interview with Todd and some clips from the "I" on the CD component. Entitled "Multimedia Sound and Music Studio" (The Definitive Guide for Creating Sound and Music on Macintosh and Windows Platforms) by Jeff Essex, it should be available in most large bookstore chains imminently. Priced at $45.00 U.S., the ISBN # is 0-679-76191-8. It also features interviews with other notable interactive music artists and industry insiders regarding actual production issues, trends, and other useful hands-on production information. It's available at Amazon.com for a discount as well. 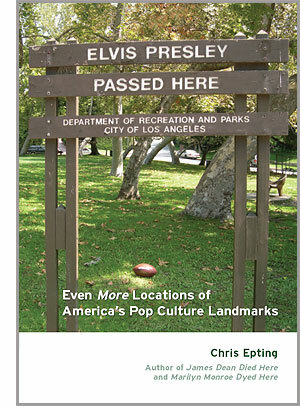 If you're a fan of power pop, this book is a must. A new book called "Night Moves: Pop Music in the Late '70s" (St. Martin's, NY, 2000) covers everything from pop to rock to punk to funk, including individual chapters on artists like Steely Dan, David Bowie, Bruce Springsteen, Bob Marley, Earth Wind & Fire, Elvis Costello and Fleetwood Mac. Foreword by Joe Jackson. Written by Don & Jeff Breithaupt, the book is a followup to 1996's "Precious and Few: Pop Music in the Early '70s", which received rave reviews: "Deftly chronicles the sounds of the seventies" (New York Post); "Put it in the eight-track and have a blast!" (Oakland Press); "Full of witty observations" (Louisville Courier-Journal); "An indispensable guide" (Toronto Sun). "Night Moves: Pop Music in the Late '70s" is available through major online retailers like amazon.com, barnesandnoble.com and chapters.ca, as well as through your local bookseller. N.B. 5 Todd ref's in index!